By CNN'S CLAUDIA DOMINGUEZ CONTRIBUTED TO THIS REPORT. 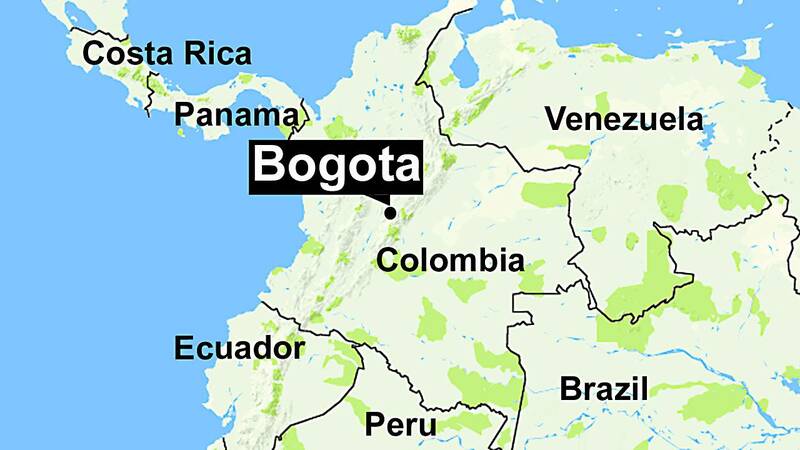 (CNN) - Colombia's National Liberation Army (ELN) is claiming to have carried out the car bomb attack at a police academy in Bogota last week that left at least 20 dead. In a statement, the leftist militant group said the attack was in retaliation for the government's bombings of its camps, despite a ceasefire being in place. "Therefore, the operation carried out against said establishment and troops is legal per the 'right of war,'" said the ELN, which reached a ceasefire agreement with the Colombian government in September 2017. However, that agreement has been tested by attacks from both sides. The group called upon the government to send a delegation to the negotiating table to continue peace talks, adding, "War is not the future for Colombia, it is peace." Thursday's attack outside the Gen. Santander National Police Academy injured at least 68 others, police said. A high-ranking police official told CNN that the explosion appeared to be the result of a suicide attack. Attorney General Nestor Humberto Martinez said Rojas Rodriguez allegedly had approximately 80 kilograms of explosives when he entered the police academy forcibly. Rojas Rodríguez rammed a vehicle onto the grounds of the academy at full speed and ignored calls to stop, according to police. CNN affiliate Cablenoticias showed the area outside the police cadet school cordoned off. President Ivan Duque condemned the attack as terrorism and vowed to bring the perpetrators to justice. He later visited the scene and proclaimed a three-day period of mourning. "From the moment of the events we have provided assistance and accompaniment to families. To all of them I send my love, my gratitude," he said. One of the police cadets killed was a 21-year-old woman from Ecuador who was studying at the academy, Ecuador President Lenín Moreno said.